Born 1951 Versailles, France. Swiss by marriage. 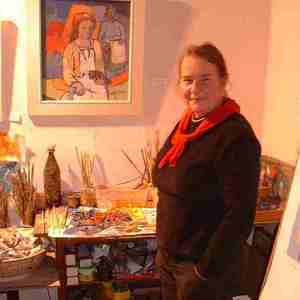 Living in Scotland for over 30 yearsStrongly colorist, figurative and semi-abstract oil paintings. Work without preconception, subject evolves through work process.